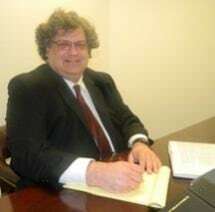 I am an experienced legal advocate focused on protecting the immediate and long-term interests of my clients. For over 20 years, I have provided sound counsel and dedicated advocacy to businesses and individual clients throughout Delaware, and eastern and central Pennsylvania. Whether you have suffered a serious injury or face an employment law dispute, I have the experience, skill and dedication to achieve results in your case. I believe in individualized client service with a focus on compassionate advocacy. I know that achieving results for clients demands a tailored approach to address the unique circumstances of every case. When you work with me you can trust that I will remain attentive and dedicated to your needs through the final resolution of your case. I am licensed to practice in Delaware and eastern and central Pennsylvania and serve as the Chair for the Small Firms and Solo Practitioners Section of the Delaware State Bar Association.